New to me. Enjoy them all. These are all new to me. I hope you are enjoying them. Here is my Monday Report. Have a great week! Cupboard Full of Coats looks intriguing…hope you enjoy your week. And yes, Andre Dubus III did write The House of Sand and Fog, which I loved. I also enjoy watching the movie over and over. 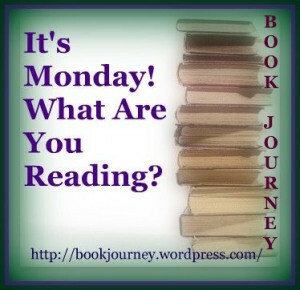 Interesting books–haven’t read them yet–but hope you enjoy your reading this week! I read that a few years ago, found it a bit depressing to be honest! I didn’t know there was a film, Laurel Rain. Will have to look it out once I’ve read the book. A Cupboard Full of Coats was a Booker nominee a couple of years ago, that’s where I heard of it. Initially I did. I am in the middle, and cannot predict how it turns out. Looks like a good week for you. I like A Cupboard of Coats…looks interesting. Pretty wonderful post. I just now stumbled upon the weblog in addition to wanted to state that I’ve definitely enjoyed browsing your blog blogposts. In any case I’ll be subscribing in your feed and I hope you publish once more in the near future!